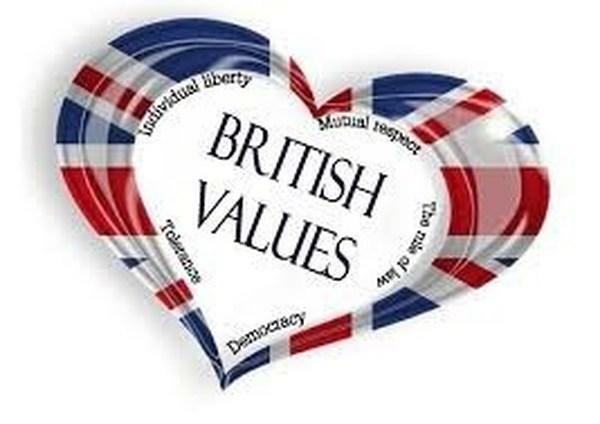 British values include: democracy, the rule of law, individual liberty, mutual respect and tolerance of those with different faiths and beliefs. These can also be viewed as human values or just ‘values’. Our values are about equality, the right to be safe and having respect for others, even if you can’t agree on a particular viewpoint. These are fundamental aspects of life in modern Britain both now and in the future. At KSPA we believe education is about helping people understand how things work and knowing how to challenge and change them for the better. Values won't be assumed because schools demand they are, they have to be arrived at through mutual exploration and understanding. What do ‘British Values’ look like at King’s Sutton Primary Academy? As such it is woven in to everything we do and it is lived through our daily experiences and interactions with each other. Some examples where British Values can be found throughout the curriculum are identified below though it should be noted that this is by no means an exhaustive list; merely a ‘flavour’. In Assembly we sing songs such as The School Rule Song , Together , and Give it all you've got. These songs are a fun way to reiterate our school ethos, values and SMSC. Through Assemblies and using SEAL materials in class we enable students to develop their self-knowledge, self-esteem and self-confidence, this is enhanced by ‘Zippy’s friends’ in Year 1, a programme endorsed by the World Health Organisation and designed to help young children develop coping and social skills, which is developed further by ‘Friends’ for Life’ in Year 3. Our behaviour policy enables students to distinguish right from wrong and encourages students to accept responsibility for their behaviour. As a school we participate in many national and local charity events such as Red Nose Day, Comic Relief, St Mungo’s, Macmillan and many others. Our pupils routinely ask to run charity stalls to raise money for a variety of causes, showing initiative, and understanding of how they can contribute positively to the lives of those living and working in the locality of the school and to society more widely. Through a wide range of visitors to school and school visits we enable students to acquire a broad general knowledge of and respect for public institutions and services in England such as our work on road safety with our local PCSO’s, trips to the local police and fire stations and our local supermarket to learn where our food comes from. Our school ethos includes the word ‘respect’ and encompasses respect for other people through children demonstrating good manners, respecting and celebrating differences through our theme of ‘Good to be me’ in PSHCE and Assemblies paying particular regard to the the Equality Act's protected characteristics (2010). School assembly themes are based around Social and Emotional Aspects of Learning and each class takes it in turns to produce a display board for the assembly hall to highlight the theme for the term. This theme falls within Anti-bullying week which is usually reflected upon in school through discussions, activities and displays. These subjects have been tied together as relationships can be tough but the challenges are often worth finding solutions to. This is planned to be near the Key Stage 2 statutory assessments and encourages children across the school to ‘do their best’ in everything they strive for. Thinking about transition to new classes and people who move to pastures new amongst other changes. In RE we learn about a wide range of world religions and in our French lessons we not only learn about the language but also the culture. Through Geography and PSHCE we also learn about different parts of the world and the way people live, encouraging tolerance and harmony between different cultural traditions. Our school council practices and encourages respect for democracy and provides an opportunity for children to engage in the democratic process of voting for school council representatives once a year and for ideas they wish to persue.